For the last 22 years, many products have been developed by SBL under Sanjay’s able guidance and working experience which are at par with the International Standards and recognized by many MNCs worldwide. 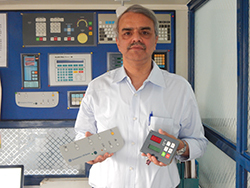 Sanjay has also developed Piezo based switch technology which can avoid any accidental operations during extremely vibrating environments. This technology is now being patented and is being used by Indian Railways in Locomotive Controls. 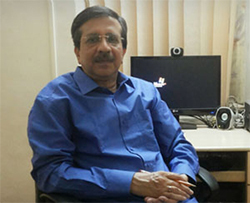 Amulya Pandit is one of the founding Directors of Solar Biotronic Labs Pvt Ltd (SBL). He holds a Master’s Degree in Chemistry and a Post Graduate Diploma in Marketing. Over the past 22 years, Amulya has been instrumental in not only marketing sealed keyboard panels as a product, but in offering workable solutions to customers’ needs. 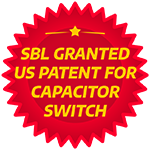 This has resulted in SBL being an OEM supplier to companies like GE Healthcare, Honeywell, Siemens, Larsen & Toubro, etc. His concept of following a systems approach in SBL resulted in the company being certified as ISO 9001-2008. As part of the company strategy, Amulya is now committed to offer value added solutions to clients. This involves marketing of Design Services, Interfaces, Drivers Cards etc.